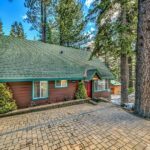 855 Clement Street, South Lake Tahoe CA offered at $425,000Adorable, furnished, classic cabin on wooded over-sized lot in Gardner Mountain. 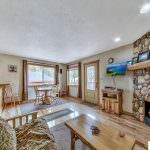 This cozy retreat was renovated in 2014 and offers knotty pine walls,stainless steel appliances, granite counter tops, vaulted ceilings on second floor,large private deck with barbecue and all the modern conveniences. Walk to Pope and Baldwin beaches. 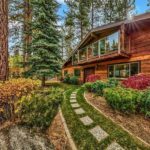 Your dream cabin in the pines!Continue Reading! 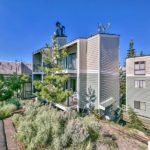 313 Tramway Drive 18, Stateline NV offered at $224,700Rare oversized Studio condo conveniently located across from Tahoe Village pool and spa. 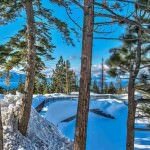 Close to Heavenly's Stagecoach Lodge and the Rim hiking trail. Newly renovated and tastefully move in ready. Unique open floor plan with sunny kitchen and wood burning fireplace. Granite counter tops, new, never used kitchen appliances, new flooring, and new upgraded bathroom with vessel sink, glass and marble tile. Nice balcony with mountain views. Establish your NV Residency...Continue Reading! 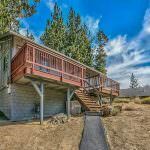 1095 Deer Cliff Drive, Zephyr Cove NV offered at $1,090,000Affordable one level living in Skyland, Zephyr Cove, NV. Unique mission style home on large fully landscaped lot with paver driveway. This 5 bedroom 3 bath furnished home would be a fabulous family hideaway or successful vacation rental. Enjoy the cheerful open floor plan with glass encased sun room, two fireplaces, mudroom, office, and decks galore. 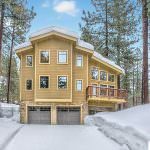 Larger generator, snow blower, gas barbeque, storage shed, and alarm system included.Continue Reading!